Use Our Cheapest Flight-to-Anguilla Finder! Saving (up to) thousands of dollars and 5-10+ hours of travel time on flights to Anguilla is possible. How? Use our Cheapest Flight-to-Anguilla Finder (below)! What Makes Convenient & Cheap Flights to Anguilla Possible? When searching for the cheapest/most direct flights (at sites such as Expedia, Kayak, Priceline), everyone just naturally enters the code of their destination airport. For example, if you are flying to New York you do not enter "BOS" for Boston. This is such an obvious habit that most simply enter "AXA" (or "Anguilla") as their destination when looking for flights. However, our airport, Clayton J. Lloyd International Airport, is a small, regional airport that is hard to get to and is not well-integrated into many systems. Routes often involve multiple connections and layovers. The reported cost and time is often more than double than the alternative. 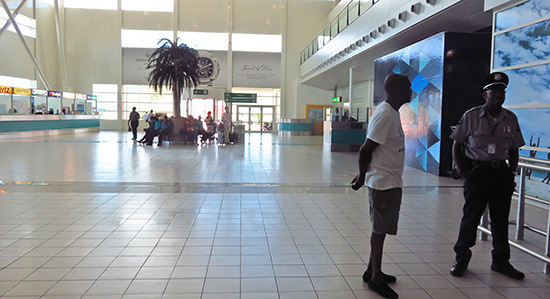 St. Maarten’s Princes Juliana airport (SXM) is a major international hub. Only a few miles away from Anguilla, SXM receives non-stop flights from around the world daily. Best of all, it is a mere "water taxi" (or short air hop) from Anguilla. We think of it is "our international airport." Depending on your point of origin, you will be pleasantly amazed at the time and dollar savings of entering "SXM" when you plan a trip to Anguilla. And oh yes, you’ll also be treated to one of the most sensational landings in the world! 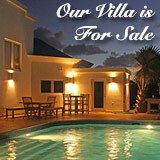 After our first two trips to Anguilla in 2002, we had completely fallen in love with the island. However, it took us over 16 hours and cost more than $1,000 per person to fly to Anguilla (AXA) from Montreal. We discovered SXM when searching for faster, cheaper destinations in the Caribbean (yes, we almost gave up on Anguilla). To our surprise, it took only 5 hours on a non-stop flight from Montreal to SXM, at a cost of only $500/person. At first we worried about how we would get from St. Maarten to Anguilla. We discovered, though, that it was easy. I'll show you how to that a bit further below. Despite our attempts to publicize this elsewhere on the site, surveys show that the majority of would-be-first-time visitors are unaware of the massive time and dollar savings to be had. I shudder to think of how many people choose another island because of this. Pay this forward and spread the good word about "short-cutting to Anguilla." If you see someone say "too hard, too expensive" in a forum post, refer them to this page. Tell friends who are considering the Caribbean. If you love Anguilla as we do and want to see more of its wonderful people happily employed, help eliminate this needless barrier to the best vacation in the Caribbean. 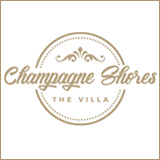 To find your fastest, cheapest route to Anguilla, simply enter (into the field below) the 3 letter code of the airport from which you are starting. Then follow the simple instructions that will immediately appear below the box. NOTE: Actual savings depend on your point of origin. In some cases, flying into AXA actually does make more sense. Most, though, will be amazed at the difference. Click the first of the two blue buttons below. Then return to THIS page and click the second blue button to open a second tab. Each click opens a new tab in your browser, the first with flights to AXA and the second to SXM. You will most likely see many more flights to SXM, at a substantially lower price with a great deal of time saved. As noted above, results vary depending upon your point of origin (ex., Northeast U.S. & Canada and Europe usually save big through SXM.). Once you have compared the two tabs, return to THIS page and proceed to Steps 2 and 3 below. Based on the best flight(s) you find in the two tabs, visit the appropriate airline’s official website and/or flight booking sites (ex., Expedia, Kayak, etc.) to book your flight! If you are indeed flying via SXM, proceed to Step 3. There are five easy ways to get from St. Maarten to Anguilla's sparkling shores. Each is explained in detail below. 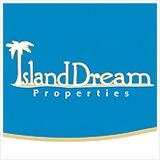 All you have to do is click on the link of your preferred method, according to cost and water/air. 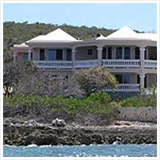 Cost: The more $'s, the faster you get to Anguilla, but the more it costs. For example, "$$$$$" (private flight) gets you into Anguilla within 30 minutes of landing at SXM. No need to cross SXM immigration. Water/Air: While private water taxis get you into Anguilla faster, you may prefer taking the larger public ferry. TIP: Speaking from experience, we know that the first time visitor who accesses Anguilla via SXM gets nervous about being stranded in St. Maarten. Please don't worry. 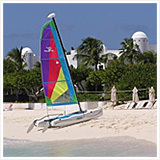 Each of the methods below shows you in detail how easy it is to get to Anguilla from St. Maarten. It is, in fact, so easy that now we often arrive in SXM with no reservations and just play it by ear. Private water taxis usually have some empty seats. If not, it's just a quick taxi cab to Marigot where you catch the reliable public ferry. Our family thinks of SXM as our big airport, no farther from home than your city's major international airport to your house. 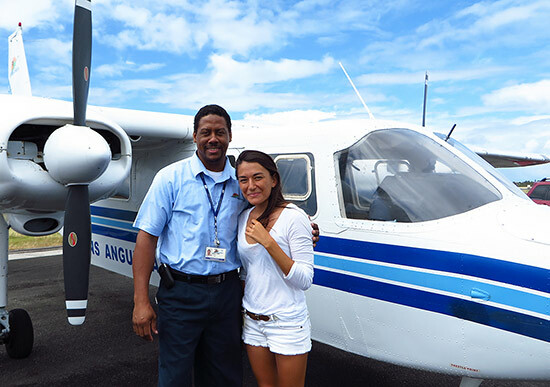 Arguably the "favorite" way to get to Anguilla from St. Maarten is via the well-regarded, Anguilla Air Services' regularly scheduled flights. 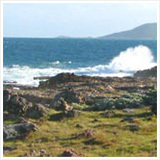 The airline features 3-4 flights in the high season, and 2-3 flights in the low season. All flights leave in the afternoon, with the last flight leaving around 4:30pm, depending on the season. It is highly recommended to book far in advance. 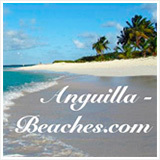 To book, visit Anguilla Air Services' website and use their online reservation system. The flight costs approximately $87/passenger (plus departure tax and a fuel surcharge). 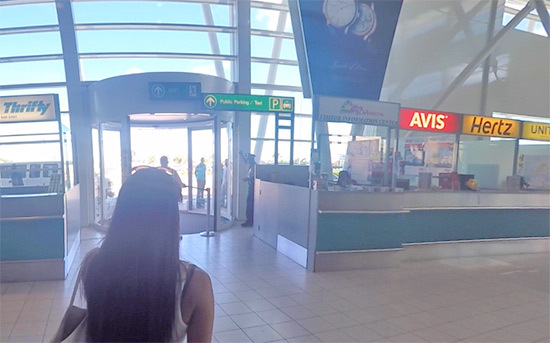 Once you arrive in St. Maarten, there is no need to pass through St. Maarten immigration. Just look for the "Transfer Information" sign and desk located before St. Maarten immigration. 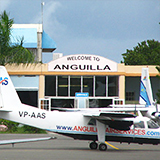 Tell the staff at the counter you are flying on Anguilla Air Services. They will handle your checked luggage (max. one 23KG bag per person) and get you on your way to your gate. This option makes the most sense if you are entering as a group of 4 or more (unless money does not matter, of course!). 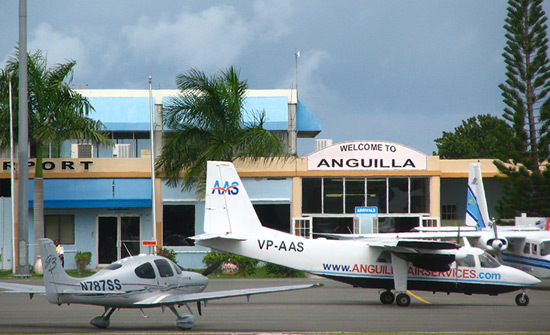 Once your plane takes off, it is an 8 minute flight to Anguilla. ... You can arrange a private flight ahead of time with either Anguilla Air Services or Trans Anguilla Airways by emailing or calling. Private flights costs around $500. 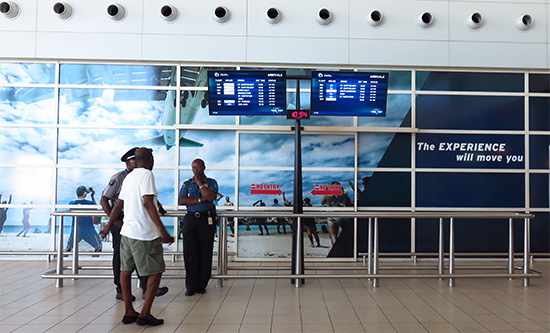 With this option, there is no need to go through St. Maarten immigration. Simply head to the Transfer Desk (look for the "Transfer Information" sign before immigration). 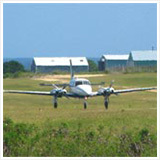 Tell the staff you are flying on Anguilla Air Services/Trans Anguilla. They will get you on your way to your private plane, handling all of your baggage. The flight to Anguilla is 8 minutes. 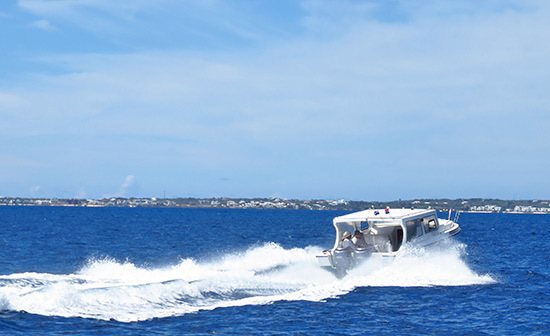 The most popular way to travel to Anguilla from St. Maarten is via one of the island's many private boat charters. Almost all private boat charters offer a semi-private water taxi service to Anguilla, with scheduled boats offered throughout the day (departure times start in the late morning and run through to the early evening). 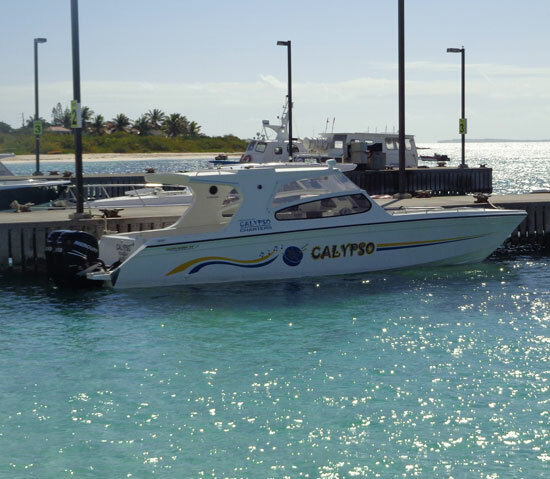 Provide your St. Maarten flight information when booking ahead (Calypso Charters is our recommended service), and your boat charter company will book you on the scheduled water taxi that best fits with your St. Maarten arrival time. The cost is generally $50-65/person, depending on the charter. They will whisk you into a taxi, luggage and all, and take you to the Anguilla water taxi terminal (30 seconds away via car). From there, once your water taxi arrives you will be on your way to Anguilla, cocktail in hand! The ride over is 20 minutes. ... All of Anguilla's charter boats offer private taxi services to Anguilla from St. Maarten where you choose your time of departure. Booking in advance is recommended. 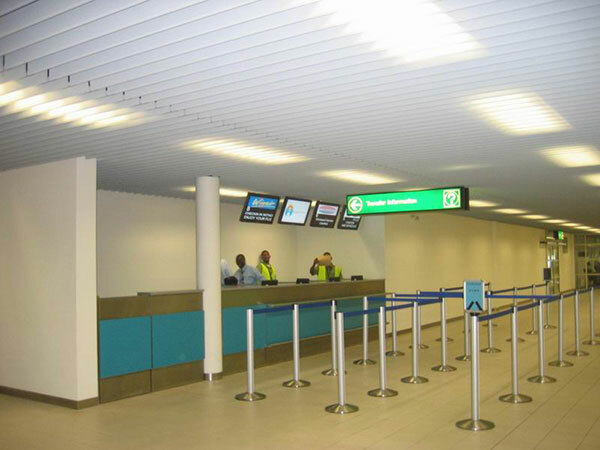 Clear immigration in St. Maarten and exit baggage claim. A representative from your charter company will be holding a sign with your name or your charter's name to your right as you exit baggage claim and enter the Arrival Area. 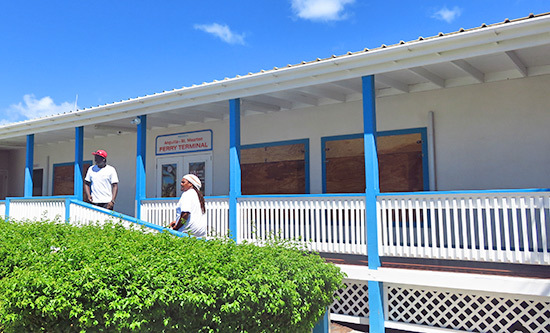 They will help you with your bags, and bring you to the Anguilla boat terminal (a 30 second drive). In a matter of minutes, you will be on your way to Anguilla (20 minute travel time to Anguilla). 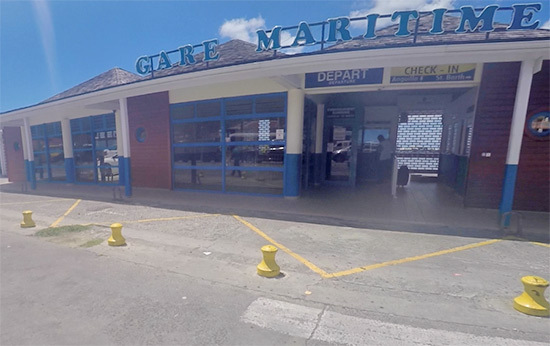 The most cost-effective way of getting to Anguilla from St. Maarten is via the public ferry that departs from the island's French side, Marigot, St. Martin. The total trip over costs roughly $45 (costs outlined below). 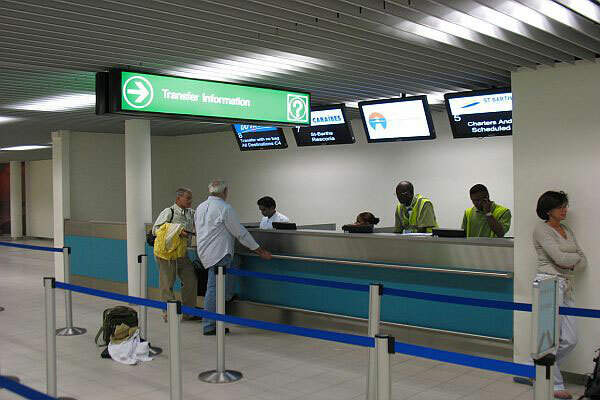 Once you arrive in St. Maarten and have cleared immigration, head to the taxi dispatcher located directly outside, in front of the Arrival Area. 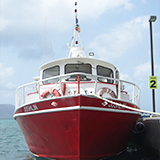 Tell your taxi driver you are heading to Marigot, St. Martin to catch the Anguilla ferry. Cost = ~$20 for 2 people (additional cost for luggage and extra passengers). How to cut the cost of your trip even more? 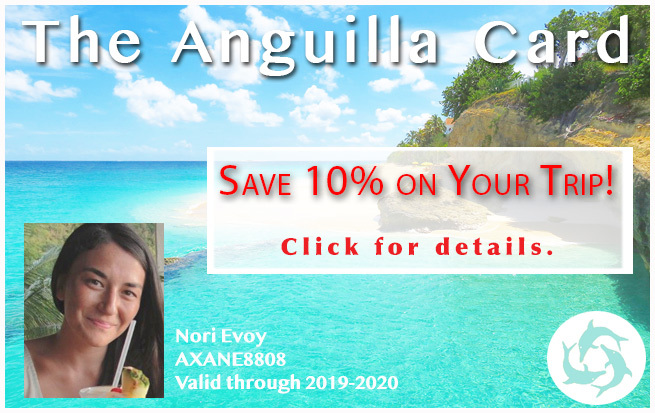 Use your Anguilla Card!